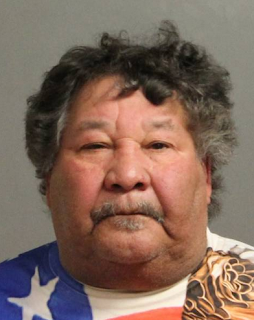 A 70 year old Machias man was charged with Endangering the Welfare of a Physically Disabled Person 1st degree (E felony), Forcible Touching (Misdemeanor), and Aggravated Family Offense Forcible Touching (E felony) on June 15, 2018 after a call to police about a domestic incident. According to New York State Troopers, officers initially responded to a domestic dispute on State Route 16 in the town of Machias. Further investigation revealed that Miguel A. De Jesus was forcibly touching a family member confined to a wheelchair. De Jesus was arrested and processed at SP Machias. De Jesus was arraigned at the town of Yorkshire Court and remanded to the Cattaraugus County Jail on $2,500 cash or $5,000 bond bail. An order of Protection was issued for the victim. If anyone has further information on De Jesus, contact the State Police at 716-353-4029.